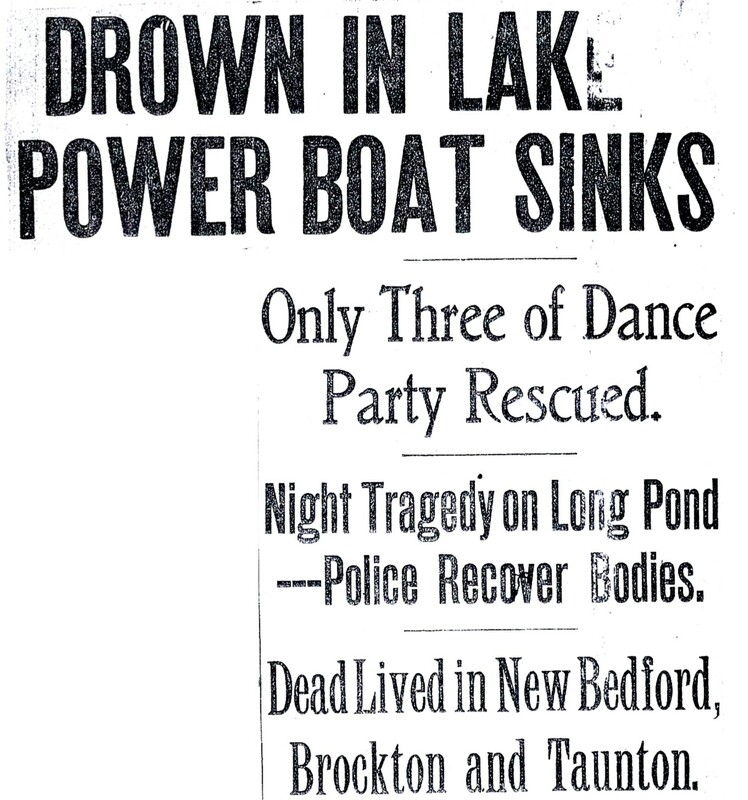 On August 9, 1913, an overloaded power boat, Farina, sank in Long Pond with the loss of seven lives. Historically, it is the worst single tragedy to have ever occurred on the ponds in Lakeville. The party which embarked aboard Farina, a craft owned by Albert Joan of Brockton, planned an evening cruise to Lakeside Park at the southern end of the pond in Freetown where they proposed attending a dance. 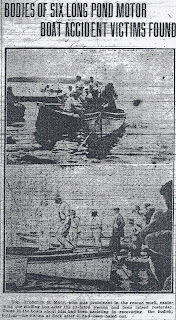 Those passengers residing in New Bedford planned on returning to the city by trolley while the remainder were to return to Lewis Island in Lakeville where they were guests at a number of cottages there. “All of the party were young and bent on a good time. Their singing could be heard as they left shore, but before they had gone far their song was shifted into shrieks for help which startled campers along the shore”, recorded one local newspaper at the time. 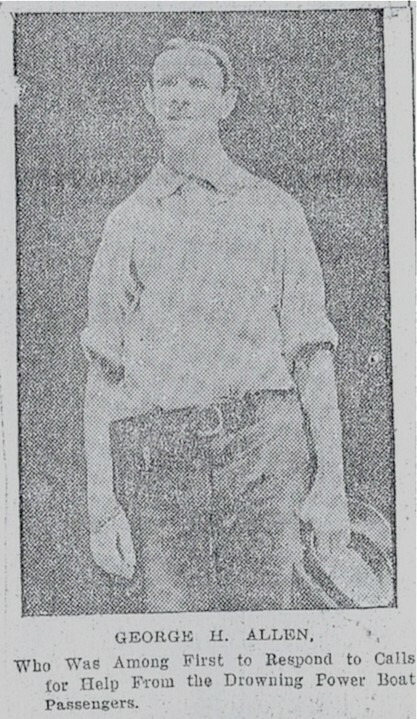 The members of the party were guests of Luther M. Dayton, 24, of 22 Bay Street, New Bedford who owned a cottage on Second (now Lewis) Island in Lakeville. 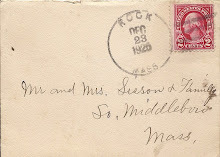 Among the members setting out that evening were Dayton; the occupants of the neighboring cottage, R. James Stevens and his fiancée Miss Attie Hamilton of Taunton; four female employees of the Sharp Mill of New Bedford and their chaperone Mrs. Raymond; and George E. Wright of Brockton and his fiancée Miss Edith Haven who were also staying on the island. Dayton later explained to the press how the members of this party of relative strangers had come together. I seated the party and I was the one to ask the last four people to join our original party of five, myself and the four New Bedford girls. We were going over to Lakeside where the girls were going to have a dance and return to New Bedford. I didn’t think my boat would be safe as it is only a little sixteen footer, and very narrow, but I had the use of Joan’s boat and went over after it. Mr. Wright and Miss Havens were at the [Joan] house and I didn’t think it was quite right to take their boat without asking them to go along. At first they said they didn’t care to but I urged and unfortunately they came. Stevens and Miss Hamilton were in the next house and I asked them to come along too and they did. People have spoken about it’s being queer that we hadn’t met in the party before, and that is the way it happened. Of the ten aboard the boat that night, it was later reported that Mrs. Henry W. Raymond, 40, was the sole member who could swim. The boat Dayton borrowed was Farina, an eighteen-foot power boat owned by Albert Joan of Brockton, a fellow cottager on Lewis Island. At the time of the tragedy, it was described as follows: “The cockpit is about 10 feet long, and three feet wide, and on either side is a row of seats. In the middle was the engine, taking up more than two feet of running space.” As the Lewis Island cottage owners formed a closely-knit community, Dayton and Joan were well acquainted and Dayton had previously been lent the use of Farina for outings and was familiar with the craft. 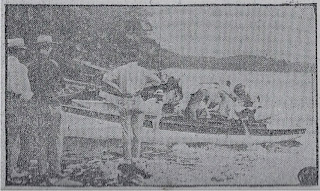 Initial press reports of the accident stated that “members of the party, terrified and frantic, grabbed oars and endeavored to paddle the boat toward the island” while Stevens steered a course towards where he believe Goat Island lay in the darkness. Dayton, however, gave a different picture. Following the initial panic, he ordered the party into the bow and told them to remain calm. Amazingly, they did so, but “before they could make any appreciable progress” and still nearly two hundred yards from the nearest shore, the boat suddenly sank. Dayton would later estimate that a mere ten minutes had elapsed between the initial sight of water in the boat and the final sinking. There is some conflict regarding which end of the boat sank first. Early reports indicate that the water was believed to have entered at the bow though subsequent accounts are more correct, indicating that the boat sank stern first and that the bow was kept partly afloat by a nearly empty gasoline tank at that end. The rescue of the Farina passengers was hampered by a number of factors, including the lack of navigation lights on the boat coupled with the dark evening, as well as the fact that those who heard the desperate cries for help may have initially discounted them. 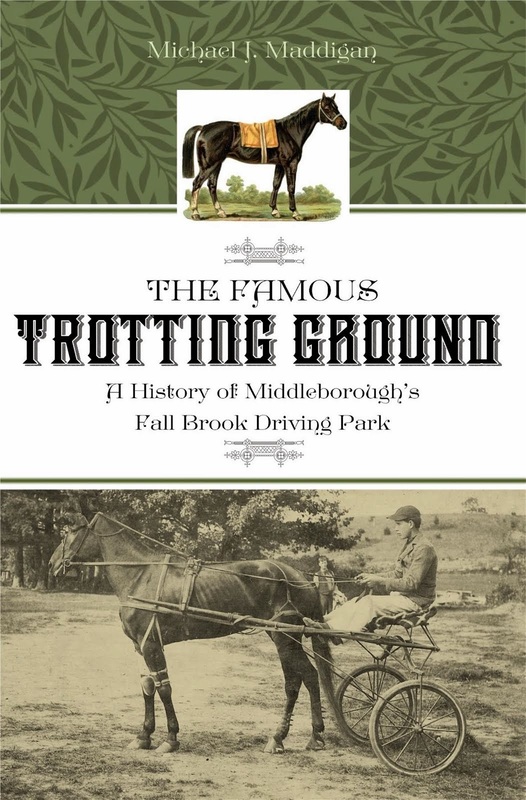 At the time, as now, Long Pond was a popular recreation area, and summer boating was a pastime pursued by many. Shouts and cries from the various craft on the pond were commonplace, as boaters plied the pond, “go[ing] up and down the pond, singing and shouting.” Recognizing that residents on the shore might mistake their cries of help for innocent revelry, Dayton ultimately ordered the women to be still. We were near the shore we thought and you would have thought that with all our screaming for help somebody would have heard us more quickly than they did. I ordered the girls to keep still while I called alone so that perhaps people who didn’t understand could hear what the matter was. And every one of the girls became still and didn’t make a sound again until the boat sank entirely and they were struggling. I called out as loud as I could to the shore where we could see lights moving “Nine people out here in a motor boat sinking. For God’s sake come quick as we are going fast”. 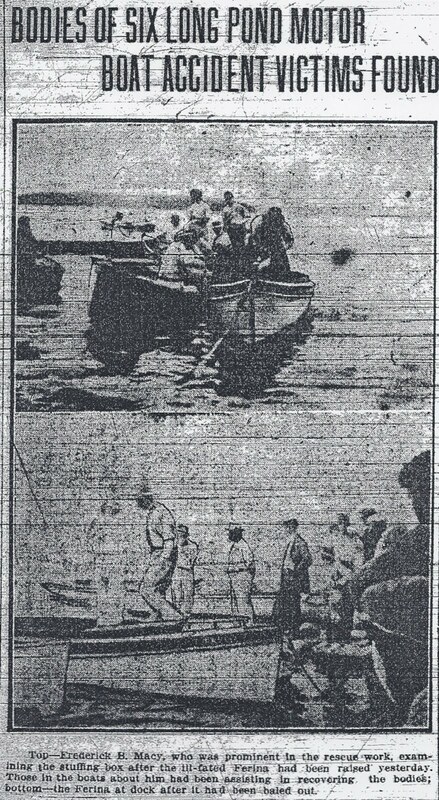 The New Bedford Times later reported that “several of the cottagers heard the shouts for help for several minutes before they realized the trouble. Details which were reported in the press at the time conflict greatly (the New Bedford Times understatedly recorded that “first reports were confusing”), and it is probably not possible to recreate a definitive account of the events of that evening, though a general outline may be reconstructed. Among the rescuers was Frederick Macy, treasurer of the Soule Mill at New Bedford. Macy who had been standing on the shore of the pond at his cottage in the company of one or both of his sons, Andrew and George, heard the cries for help as did many others along the shore of the pond. Upon realizing the nature of the cries, Macy immediately launched his row boat into the pond. Although some reports would later indicate that the Macy boat was powered by an engine, it is likely that it was not. None of the survivors mentioned any power boats coming to their rescue and in fact were consistent about hearing the sounds of oars approaching them in the darkness. Macy was reported to have reached the scene quickly though later accounts indicate that the response of rescuers may have been delayed by the darkness of the evening. “It was dark as a pocket on the pond and the sounds were traced with difficulty. The people struggling in the water continued to shout till one after another they sank exhausted.” Without navigation lights, the Farina could not be located easily by either those unfortunate souls who had fallen into the water or by the rescuers. survivors was George H. Allen. 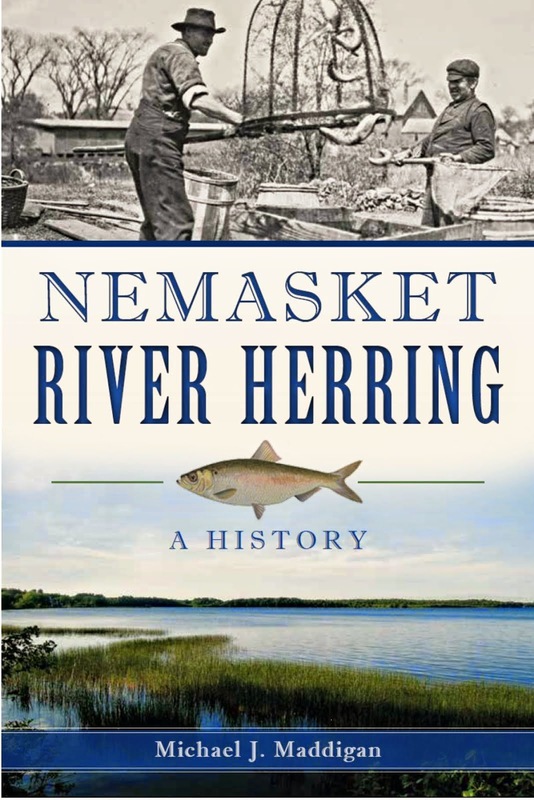 Among other boats which were launched was one by George H. Allen of Brockton,and another from the Twin Pine Camp by Benjamin Almond, Walter McAulay and George Hayward of New Bedford. Not surprisingly, the rescue was conducted amidst much confusion. While one New Bedford newspaper indicated that “practically the entire summer colony knew of the accident within a few minutes after it happened”, the following day it contradicted itself by noting that at least two cottage owners - Mayor Ashley of New Bedford and Daniel W. Baker - were entirely unaware that anything had occurred until after daylight the following morning when presumably the awoke to the sight of men dragging the pond. It is likely that many, in fact, who resided about the pond shared this lack of awareness. someone pushed me into the water and I went down to the bottom. How foolish I thought. I can swim. There is no danger. There were struggling forms a distance away from me, but from then on I forgot the horrible scene. The next thing I realized was when I was picked out of the water and taken into a boat. Dayton, himself, later stated that Mrs. Raymond had been able to cling to the bow which remained just out of the water. The whereabouts and condition of another passenger, Miss Attie Hamilton of Taunton, was less clear. One report indicated that she “was sinking for the last time as one of the rescuers reached her side”. This is contradicted by another report which stated that she was unconscious and was seen floating anywhere from “a few feet” to 25 feet from the Farina. Most accounts indicate that when Miss Hamilton was finally pulled into the Macy boat, she “showed no signs of life”. Macy circled the area where Farina was last seen above the surface until the other rescue boats reached him whereupon he headed back to shore. It is believed that Dayton and Stevens were brought ashore in the Twin Pine Camp boat, Mrs. Raymond in George Allen’s boat and Miss Hamilton in Macy’s boat, though again reports differ. 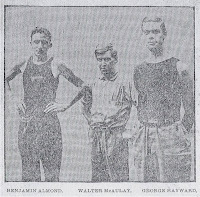 Once the unconscious Miss Hamilton was brought aboard the Macy boat and that other rescue craft had arrived in the vicinity, Frederick Macy immediately made his way back to shore to his cottage. There Miss Hamilton was brought into the house and placed on a bed. “A very slight indication of life” was observed and attempts were made to revive her. New Bedford police were the first authorities to be notified, and though it is not reported who at the time initially contacted the New Bedford police department, it was likely a member of Macy’s household as he was a resident of that city. Though Long Pond was well outside the jurisdiction of the New Bedford city police, a force under Sergeant McLeod was immediately dispatched with grappling irons and a pulmotor (an early artificial respirator which forced air into and from the lungs), arriving in under 20 minutes. 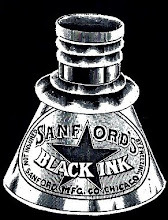 The pulmotor which was described as “the most modern appliance of the medical profession” was immediately applied to Miss Hamilton, but failed to revive her. “After working over her for a long time it was seen that she was dead.” One later report attributed her death to a weak heart, stating that she died from the shock of the accident rather than drowning. Ultimately, the remaining bodies were recovered in the morning, all within twenty minutes, with several residents from surrounding communities assisting in this grim task. 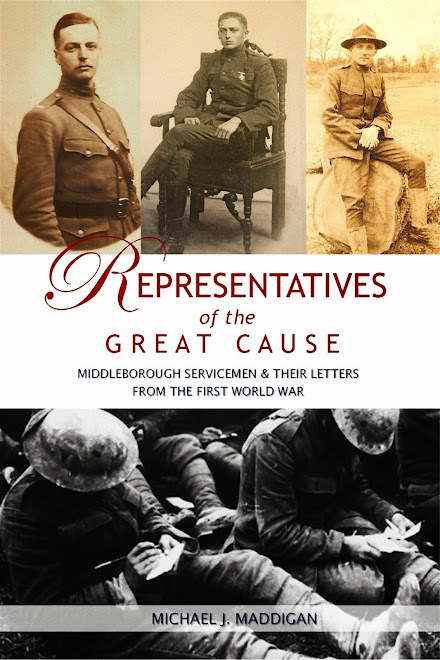 “… Clinging to the arms of George Wright of Brockton, the only man to lose his life, were found two women, their desperate clutch unloosened even in death. Close by, their arms locked about each other, were two girls. 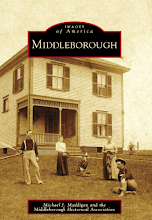 All the bodies were recovered within a radius of 15 feet.” The recovered bodies were laid out on the shore near the Macy cottage until claimed by New Bedford, Taunton and Middleborough undertakers. 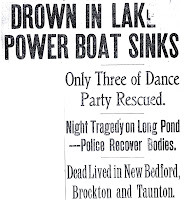 If the report carried six days later in the Middleboro Gazette is correct, the tragedy appears to have been the product of panic in the darkness, for it was reported that Farina did not sink completely and its bow remained above the surface of the pond. The newspaper reported that the bow remained out of the water all night and was marked by a lantern, and “in the morning the bow still floated.” Sadly, the panicking passengers had become separated from the boat and could not relocate it in the darkness. Had they been able to do so, they most likely would have been able to cling to the bow until being rescued. Remarkably, the water was only seven feet deep at the point where the boat foundered. Wright was the most prominent of the victims lost on the Farina, and was the son of Ellery C. Wright, retired junior partner in the shoe last manufacturing firm of Woodward & Wright of Brockton. He had driven his automobile down to Long Pond for the weekend in the company of his fiancée, Miss Haven, where the two were weekend guests at the Joan Cottage on Lewis Island. Engaged to Wright, Mrs. Havens was a guest at the Joan cottage, Lewis Island. 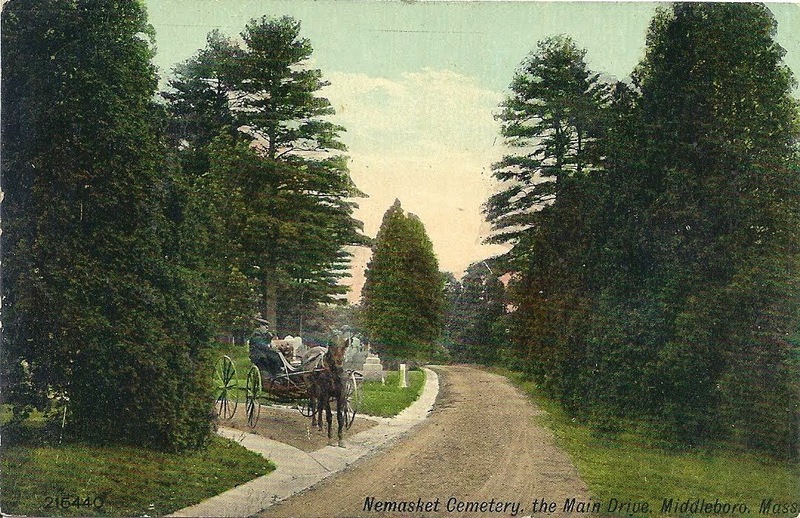 She was the estranged wife of Henry G. Haven of Brookline whom she had wed four years previously and whom she had left following only one year of marriage. 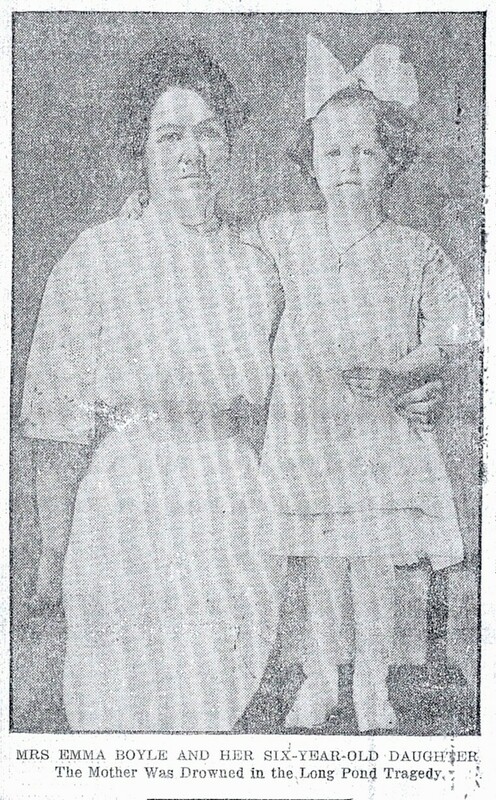 “It is said that they had not lived together for some time, and that Mrs. Havens planned to get a divorce to marry Wright.” As indicated by this report, her surname was given alternately as Haven and Havens throughout the tragedy’s aftermath. 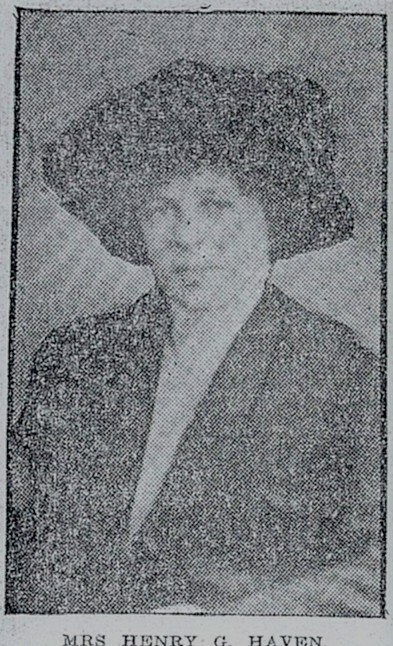 Her husband claimed the remains for burial at Brookline. Mrs. Boyle was one of four female employees of the Sharp Mill, New Bedford, who had planned to come “out for the afternoon to visit friends at Second Island, Long Pond, and return by way of Lakeside Park in the evening.” The girls had intended a weekend of relaxation with an automobile trip to Newport on Sunday in the company of other Sharp Mill operatives. Mrs. Boyle, along with Miss Brown, Miss Sweeney and Miss McCabe were all guests at the Dayton cottage where Mrs. Raymond acted as their chaperone. Much of the subsequent media coverage focused upon the six-year-old daughter Mrs. Boyle left behind. Miss Brown was an employee of the Sharp Mill, at New Bedford, and the fiancée of Luther M. Dayton. Miss Sweeney was a Sharp Mill operative and guest at the Dayton cottage. Miss McCabe was one of the four Sharp Mill employees and a guest at the Dayton cottage. 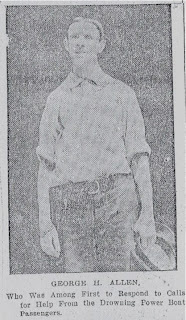 She was the first of the New Bedford victims to be buried, on Tuesday, August 12, from the St. James Church in that city. Miss Hamilton was the fiancée of R. James Stevens of Taunton who “refused to be comforted in his grief” when he learned that Miss Hamilton never revived. 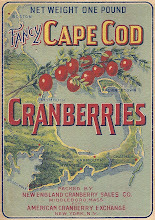 She was a guest at the Stevens cottage, Lewis Island, and was tragically the second guest of the Stevenses to drown in the pond that summer, Harry R. Chace of Middleborough having lost his life while crossing the channel between the island and the mainland on July 12, 1913.
the pond and baled out. Also recovered along with the remaining six bodies in the pond was Farina itself. 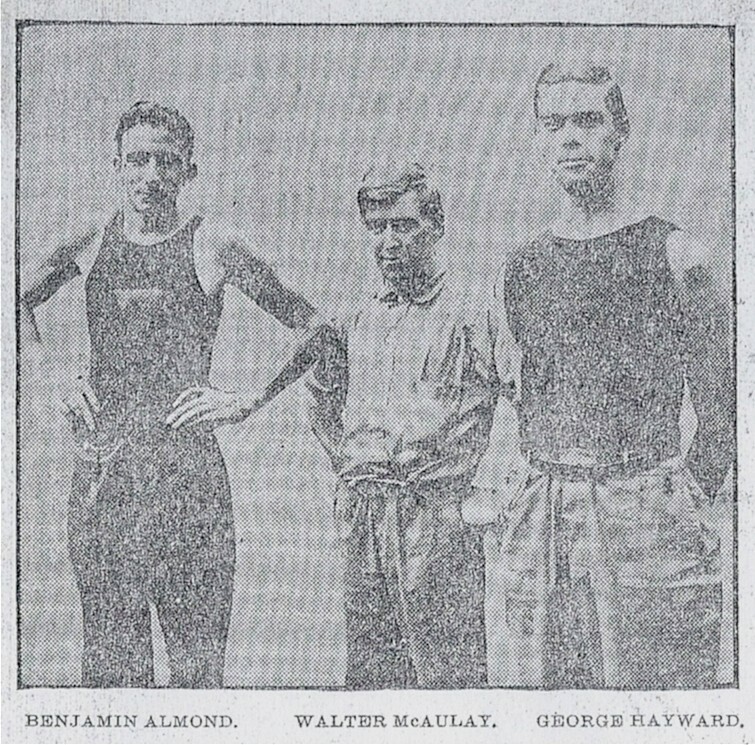 The boat was raised by its owner, Albert Joan, with the assistance of George and Andrew Macy. “… Baled out [it was] found to be apparently in a good condition” a circumstance which would lead to questions regarding the ultimate cause of the tragedy. Dayton, Stevens and Mrs. Raymond all initially indicated a belief that “the bottom had dropped out” of the boat. However, an examination of the craft revealed “only a slight leak around the stuffing box such as [was] common in boats of her type”, and which would account for an intake of what was estimated as no more the “a bucket of day”. The police view was that the craft was too heavily loaded and that water came in over the gunwales. “When the crowd became nervous at [the] sight of the water and shifted positions [to one end of the boat] … the water poured in” causing the boat to sink. Albert Joan, owner of the boat concurred, maintaining that the recovered boat “was no worse than it had been for some time past” and that overloading the boat had caused its sinking. Ironically both Joan and Dayton admitted to having previously embarked with as many as 12 passengers aboard Farina without incident. Joan, however, indicated that the “strong breeze blowing” on Saturday night would have deterred him from setting out with so many in the boat. Dayton indirectly attributed the cause of the accident to Miss Hamilton and a second girl. Two of the girls who were seated in the stern, Miss Hamilton, and I don’t remember which other, sat up on the back deck instead of in the seat. Now there is a three blade sixteen-inch propeller in the boat, run by a five and a half H. P. Stanley engine and the propeller pulls the stern of the boat way down in the water when the boat is under way. When the girls sat on the stern of the boat they lowered the thing still further. There is a tube under the stern deck through which the rudder post comes. It sticks up supposedly above water level, and there is no packing about it whatever. It is always supposed to be above water and the extra weight on the stern must have submerged it, letting the water in. The water could keep running through there for a long time and accumulate below the deck and the occupants of the boat would never know anything about it. There were probably eight inches of water in the boat by the time we found it and started to pump. The fly wheel began to throw it in the air, so it must have been about eight inches. Dayton’s explanation seems consistent with the facts as known, and indirectly corroborated the view of the New Bedford police that the loading of the boat had permitted water to pour into the boat. Given that the Titanic sinking had occurred only the previous year, comparisons between that ship and Farina were perhaps inevitable. 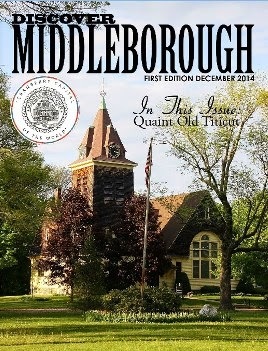 The New Bedford Standard noted that darkness and confusion characterized both tragedies while the Middleboro Gazette mistakenly reported, “like the Titanic, its rear end sank first.” (The Titanic, in fact, had plunged into the ocean bow first). It is likely that the presence of either life preservers or navigation lights would have helped minimize if not entirely prevented the loss of life. Immediately following the accident, Dayton became an advocate of improved safety measures for craft operating on inland waterways. “If we had had even one preserver we could have saved one more life and if we had been been carrying lights, those who put out to our rescue could have located us minutes sooner than they did.” While the Motor Boat Act of 1910 mandated inspections of recreational and commercial boats, this did not apply to craft less than 40 feet in length. Dayton later issued an even more extensive statement criticizing the failure of boaters on the ponds at Lakeville and elsewhere to consider safety and he proposed that such measures be mandated by law. If we only could have had a life preserver or two we could have saved them. But there wasn’t a sign of one, there isn’t on any of these boats. And there were no lights on the boat to guide a rescuing party. We heard oars, but the boats didn’t get there as soon as if they had been sure where to go. What a difference a minute would have made. Why doesn’t your paper [The New Bedford Times] start an agitation to have lanterns and life preservers required on inland waters. The United States require it on coast waters, but there isn’t a boat on the lake scarcely, including the big ones that carry parties of thirty people or so from [Lakeside] park that carries life preservers, and very few of them carry lights. This all could have been averted if there had only been life preservers. The Evening Standard [New Bedford], “Girls Remained Silent”, August 11, 1913, p.1.